Following seven consecutive months of gains, the list of improving U.S. housing markets remained virtually unchanged in April, with 273 metros on the NAHB/First American Improving Markets Index (IMI), released this week. This total reflects a net reduction of one market since March, and for the third time in a row, includes entrants from all 50 states and the District of Columbia. Commenting on the latest data, NAHB Chief Economist David Crowe noted, "After a strong run-up through late 2012 and early 2013, the number of improving markets is holding steady at a high level," with 75% of metros covered by the IMI now seen on the upswing. 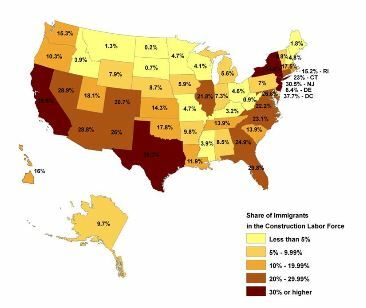 "We can expect to see more gradual gains going forward as challenges related to increased demand kick in – including everything from tightened supplies of developable lots and labor to the rising cost of building materials,” he added. For a complete list of all 273 metropolitan areas currently on the IMI, and separate breakouts of metros newly added to or dropped from the list in April, visit www.nahb.org/imi. For a quick-reference, state-by-state listing of metros on the IMI, visit www.nahb.org/improvingmarkets. Choose from more than 400 house plan designs that we offer in a wide range of styles and sizes. Some of our more popular house designs include European-inspired Georgian and palladian homes, English manor house plans, Tuscan-style Italian villas, French chateaxs, and colonial house plans. Our Tuscan-style villas range from 1800 sf to 14,814 sf. 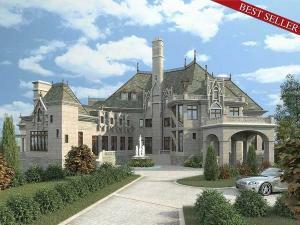 Our Newport classic house designs range freom 1500 to 5000 sf. Our starter castles, mansions and estate homes are designed in the grand tradition of some of the most impressive homes in the world. Please feel free to search our house designs offered. Our plans have been built around the globe, from Canada to Dubai, and one could be just for you! 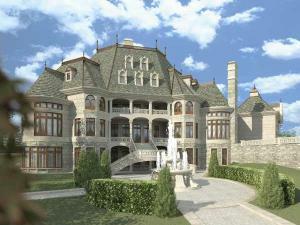 Today's photos are those of Archival Designs' Luxury Castle House Plan, Chateau Novella.